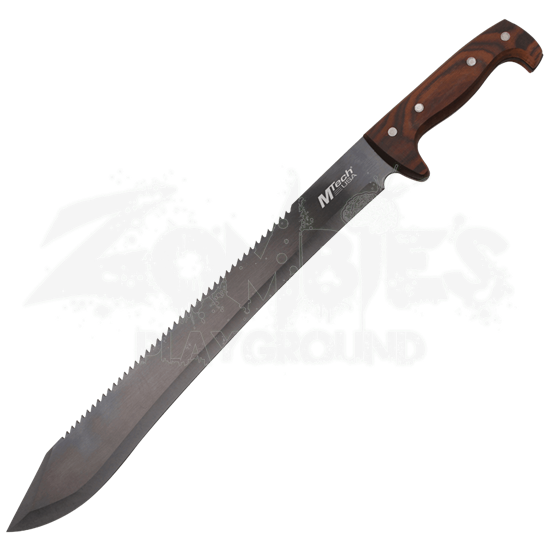 For a machete with a classic feel and worn look go no further than the Saw Tooth Bolo Machete. With a hand crafted blade and wooden handle, this blade lends itself with old world craftsmanship without the outrageous price. Its bolo style blade makes cutting and slicing through things a breeze, and its saw tooth back is there for utility, allowing you to saw through tougher materials. 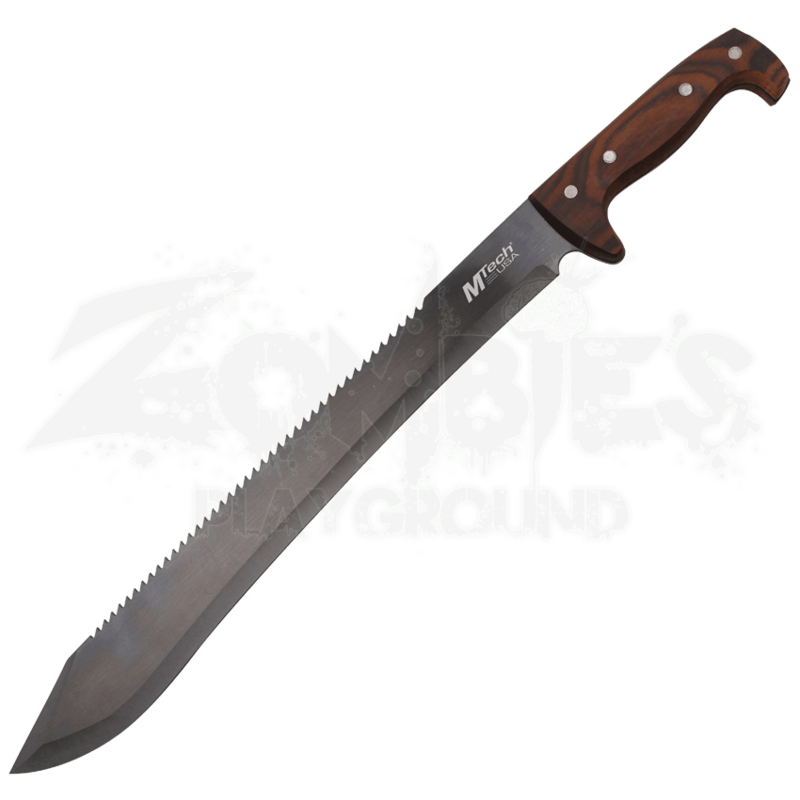 Get the Saw Tooth Bolo Machete today for a great hand crafted weapon and tool.